Our LCA third graders hosted their annual poetry cafe on Valentine’s Day of this year. The cafe culminates the hard work the students have put in writing poetry since the beginning of the school year. In preparation, the students read and studied different types of poetry styles and elements with Mrs. Cote and Mrs. Echols. 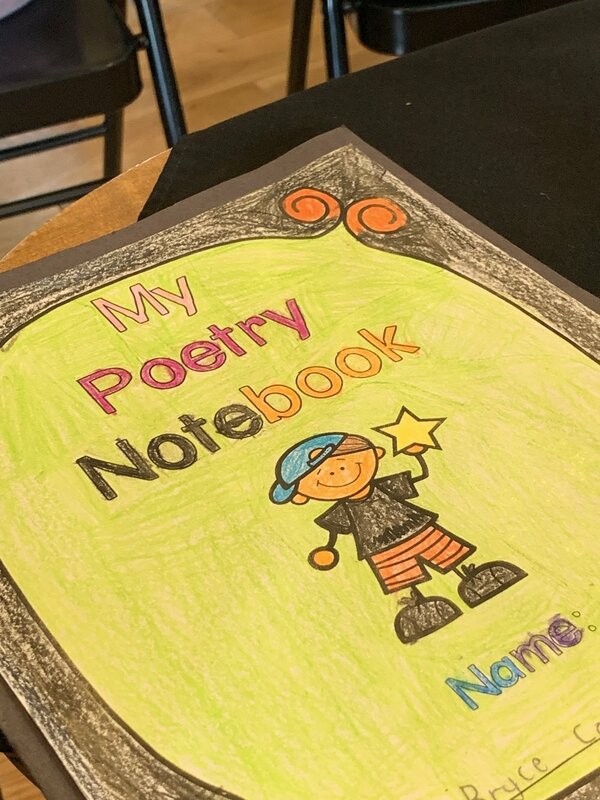 They were each able to write and publish more than ten different original poems that they collected in their notebooks. One of Mrs. Bailey's middle school students has a sibling in third grade and brought it to her attention that both classes were studying the same unit in English. This realization sparked a way for the middle school class to collaborate with Mrs. Cote and Mrs. Echols in the Lower School. On February 12, the seventh grade students had the opportunity to be a practice audience for the third graders as they prepared for their annual Poetry Cafe event. The third grade students were thrilled to be able to practice reading their poetry for Mrs. Bailey’s seventh grade English students. Many of the seventh grade students had participated in the same cafe when they came through third grade at LCA, which made them the perfect first audience. It was helpful and encouraging for this year’s third graders to receive the older students’ feedback. Mrs. Bailey said, "The third graders were so well prepared. Their poems were funny, thoughtful, and bravely performed in front of the middle schoolers. Mrs. Echols and Mrs. Cote even created comment cards for my students to use as a way to provide feedback to their students before the cafe on Thursday." The middle school students came back talking about how impressed they were with the third grade students and all that they knew about writing poems. On February 14, the third graders were more than ready to present their works for proud parents and grandparents. Mrs. Cote and Mrs. Echols were very proud of the students’ creativity and confidence in sharing their writing, which was thoroughly enjoyed by an eager audience who attended the annual event.